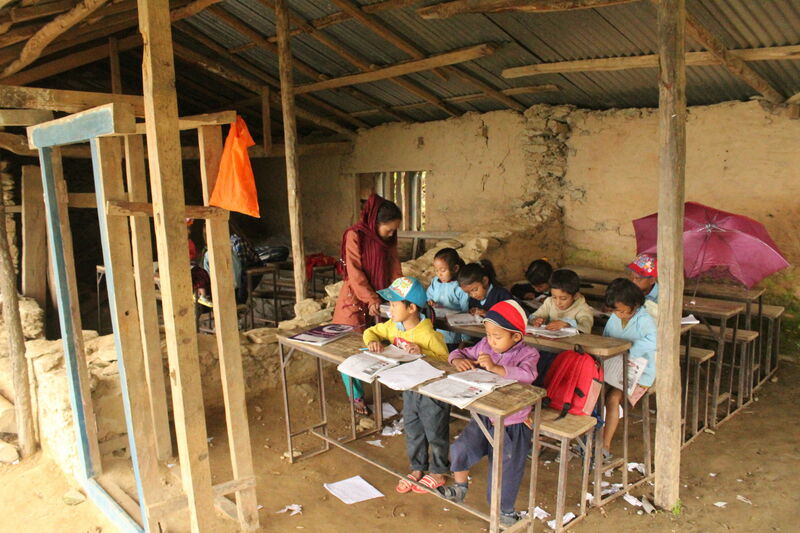 The classrooms at Chandra Devi primary school in Darkha Ward 6 have been completed, and the students have moved in! They are no longer studying under a roof with no walls. This school serves preschoolers through Grade 3. Many of the students are members of the lowest caste. 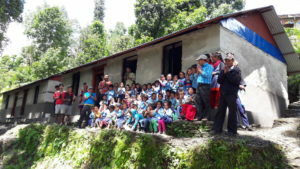 The parents and community members pitched in as volunteers and dismantled the old school destroyed in the April 2015 earthquake. They then worked as paid workers to construct two two-room buildings. Long narrow buildings can twist during an earthquake, which is why the four rooms were broken into two separate buildings. 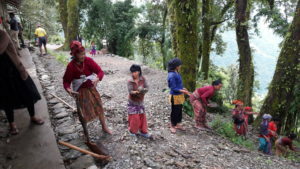 Many women were able to participate in the construction. In a region where almost everyone is a subsistence farmer, hard cash is hard to come by. Studies have shown that women are more likely to spend money on their families, and so we were happy to be able to employ a number of women. Some carried incredibly heavy loads of aggregate and sand which were used to make reinforced concrete tie beams. 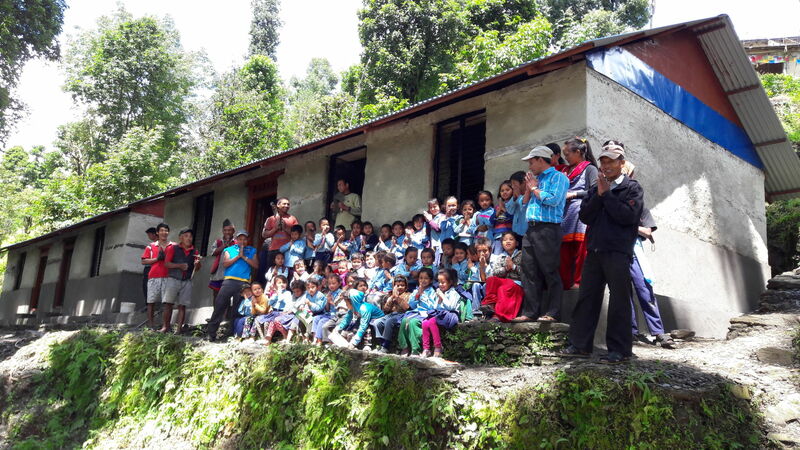 Students at Chandra Devi primary school have not had temporary classrooms to study in since the earthquake struck on April 25, 2015, like in many other communities. We felt it was a race against time to provide these students with a safe learning environment. We are in the process of building another two-room building that will house the principal and the school’s library. In April 2017, we will be assessing the feasibility of adding solar lighting to the classrooms. The site is heavily shaded, but we hope we can find a sunny location nearby to house the solar panels.